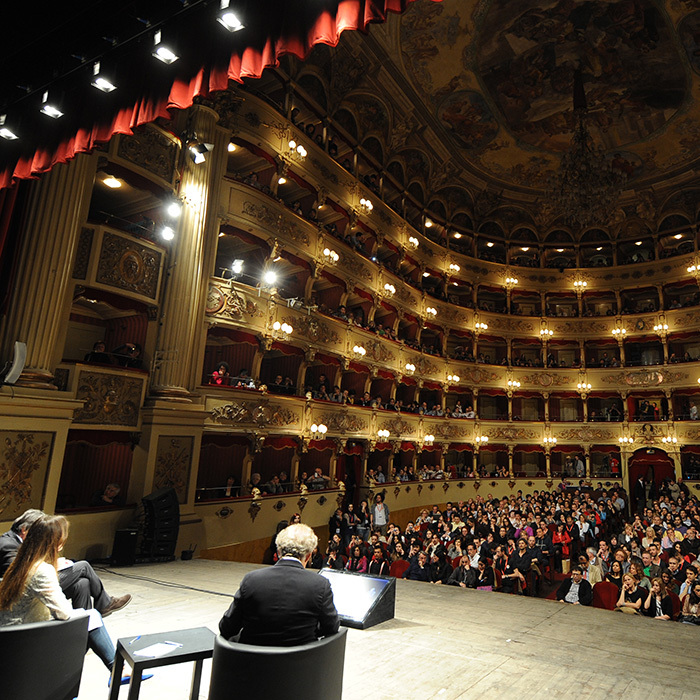 The International Journalism Festival, due to take place in April 2014 in Perugia, has been cancelled. This decision has been taken by the festival founders Arianna Ciccone and Christopher Potter. We apologise for any inconvenience. The festival has been cancelled for one reason, namely money. Total 2013 festival revenue was about €400,000; 75% from corporate sponsors and national/international organisations and institutions, 25% from local public institutions. All festival events for all attendees were free entry so ticket revenue was zero. Festival revenue has come exclusively from sponsorship since the 2007 first edition. From 2007 to 2013 the number of festival events and speakers grew year by year (in 2013, 212 events and 479 speakers). So did the quality and depth of the festival programme. We were proud to be able to declare at the end of each festival “This has been the best festival yet.” Annual festival revenue also increased rapidly from 2007 to 2012 but then fell by about 20% from 2012 to 2013. The festival has become the biggest media event in Europe and €400,000 is simply not enough. Over the past six months or so we’ve tried in various ways to increase this figure. These efforts have proved unsuccessful. Italian companies are cutting back on sponsorships in response to the tough economic situation. Firm commitments from Italian public institutions have not met our expectations. One option to alleviate pressure on the festival budget would be to charge for admission. But free entry was never just a gimmick. The festival’s identity and unique atmosphere were rooted in its accessibility, informality and irreverence, the festival’s focus was on attracting the broadest possible audiences. Ticketing would run the risk of a merry-go-round of journalists addressing journalists. There is no shortage of such media events around the world and we have little possibility of, or interest in, competing with them. To charge for admission now would mean effectively ditching the festival as was and starting up a new one. We’re not willing to do that. Another option would be to implement a cost-cutting reduction in the size and duration of the festival. But critical mass is essential. Speakers, volunteers and attendees are prepared to travel a long way because the festival is big and vibrant and stimulating, a mad mix of the well-known and the unknown, of stars and students, of journalists and non-journalists. Cutting back would be counterproductive, leading to a hollow demi-festival unable to escape the shadow of its past. Over time participants would lose interest. So would the sponsors. No critical mass, no party. There is more to all this than just the money. We’ve put in the hard graft of taking the festival from nothing to quite something. We’ve borne the risk and invested the emotional energy. And we have no intention now of watching the festival fade, of seeing it lose its fizz and its identity as dictated by an implacable bottom line. If the revenue isn’t up to guaranteeing the festival’s continued growth in quality, so be it. We will not plead for more. We will not trim, chop or emasculate. We prefer to shut the festival down. The festival brings visibility and money to Perugia. The hashtag #ijf13 was a Twitter trending topic in Italy for five consecutive days. 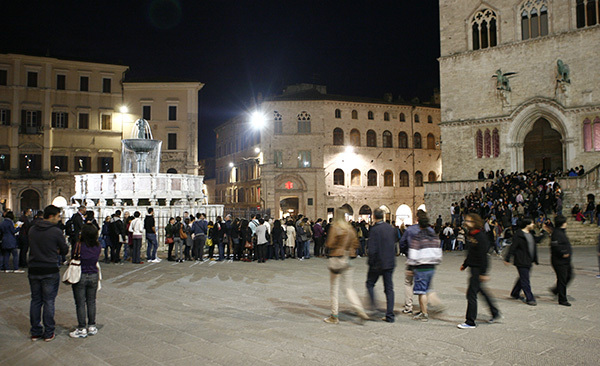 The festival fills Perugia’s hotels and restaurants with big-spending, humdinging opinion leaders. What more could a town want from a cultural event? Yet total festival funding by local institutional sponsors has declined for each of the last three years. We would like to take this opportunity to thank all festival sponsors, speakers, volunteers, staff and suppliers. Without them the festival wouldn’t have existed. Thanks must also go to Perugia, home to the festival since the 2007 first edition. Its stunning historic town centre, big hotels and excellent facilities have provided the ideal setting, much appreciated in particular by the festival’s international speakers and attendees. Emily Bell tweeted after her keynote speech in the Sala dei Notari on 27 April 2013 “All conferences about journalism should be here”. 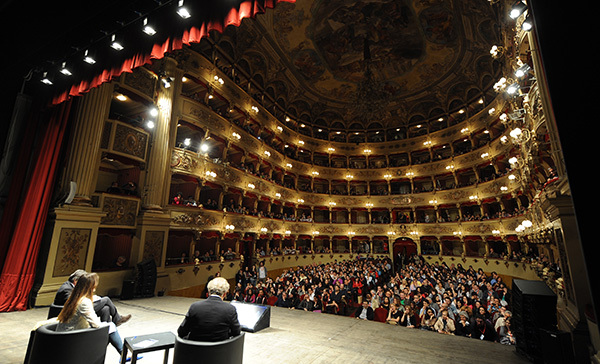 The beauty and intimacy of Perugia undoubtedly contributed to the festival’s success. Why today, some six months before the festival was due to begin? Firstly, the festival was an annual April event, the organisation of which always began in October. Staff, sponsors and suppliers need to know now that the festival will not take place. Secondly, requests for 2014 speaking roles, press accreditation and volunteer selection have been coming in since the summer. We need to be able to reply now. Thirdly, we wished to eliminate any possibility of attendees mistakenly booking hotel rooms for the 2014 festival. We make this announcement with regret. The festival has become the go-to media event in Europe, in addition to being merely the biggest. Speakers over the years have included Emily Bell, Carl Bernstein, Andy Carvin, Al Gore, Mathew Ingram, Wadah Khanfar, Harper Reed, Yoani Sanchez, Paul Steiger. The setting was spectacular, the atmosphere unique. The format was a winner, the programme a jaw-dropper. Attendees came from all over Europe and beyond. All the elements were in place to propel the festival forward – all the elements, except the money. The Visa pour l’Image festival took an unlikely provincial town beginning with the letter P to world prominence in its chosen field of photojournalism and this year celebrates a well-deserved twenty-fifth anniversary. Congratulations to everyone in Perpignan on their achievement. The journalism festival might well have folded after just two or three years or indeed sailed on serenely to its own twenty-fifth anniversary in Perugia in 2031. In the end we held on for seven years. Not bad, all things considered. We’re proud of what the festival has accomplished. It’s been a privilege to have set it all in motion. We’ll miss it. The nymph Calypso kept Odysseus hostage on her island of Ogygia for seven years. For nymphs and heroes and everyone in between, maybe seven is on reflection just about the right number. Now it’s time to do something else. ps. The festival website and social media accounts will remain active. Through aggregation and in-house content production we wish to continue to make our modest contribution to the worldwide conversation on journalism.